Customers, Residents and business owners can depend on one of the most trusted locksmith services in Toluca Lake, including immediate responses to lockouts. Our licensed, bonded and insured locksmith service offers residential and commercial locksmith solutions for private homes and firms, covering all of Toluca Lake. We are open Monday through Sunday, all day 24/7. 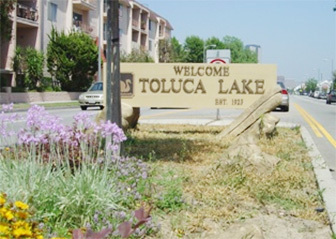 Our professional and highly skilled technicians in Toluca Lake have an average of five years or more experience in every aspect of locksmith Toluca Lake services, including residential, commercial, automotive and emergencies. Call or email Guardian Angel Locksmith in Toluca Lake today and we’ll get right to work! If you’re looking to increase the level of security of your home, a complimentary Guardian Angel Locksmith home security audit can give you a good idea of where to start. Our home re-keying, key cutting and lock repair, replacement and maintenance services can all help to improve the overall security of your home. Should you ever find yourself locked out, you can depend on Guardian Angel Locksmith’s 24 hour residential lockout service to get you back inside quickly. For those concerned with safeguarding a business location, our locksmiths in Toluca Lake supply a variety of services that can increase building security and decrease employee theft. Access control systems, key control systems, electronic lock installation and maintenance, lock re-keying or safe repair and combination change services are available for all commercial customers.